Credit: X-ray: NASA/CXC/Caltech/S.Kulkarni et al. ; Optical: NASA/STScI/UIUC/Y.H.Chu & R.Williams et al. ; IR: NASA/JPL-Caltech/R.Gehrz et al. 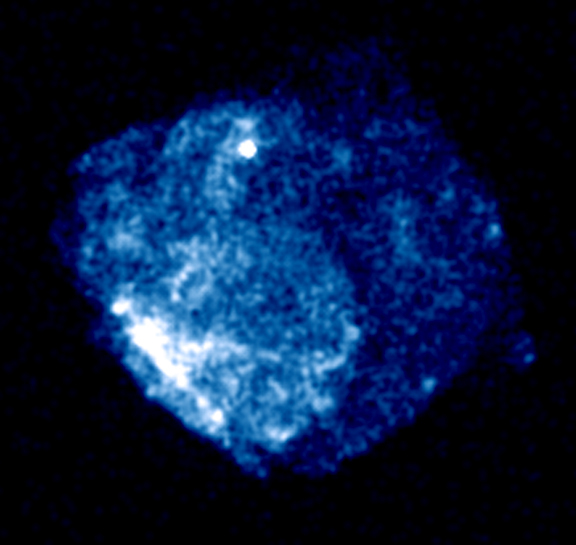 Credit X-ray: NASA/CXC/Caltech/S.Kulkarni et al. ; Optical: NASA/STScI/UIUC/Y.H.Chu & R.Williams et al. ; IR: NASA/JPL-Caltech/R.Gehrz et al. 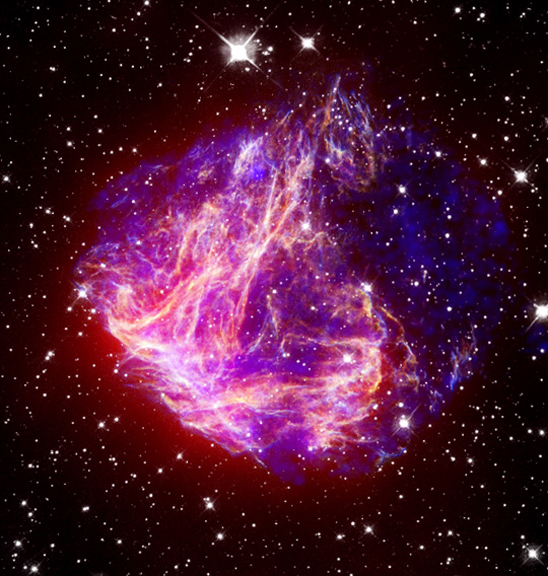 References Supernova Remnants in the Magellanic Clouds X: Multiwavelength Analysis of the Physical Structure of N49 Bilikova, J., Chu, Y.-H., Gruendl, R., Lundgren, B., & Williams, R. To be submitted to the Astronomical Journal.